After particularly harsh condemnation of Jerusalem building, attorney Sheftel warns Obama will condemn Tel Aviv building next. The harsh criticism flung by US President Barack Obama's administration against Israel this week for a building project in Jerusalem is only a sign of things to come, according to Attorney Yoram Sheftel. The controversy came over a building project of 2,610 housing units in Givat Hamatos, a Jewish neighborhood in Jerusalem, which was in the works since 2012, and which Netanyahu accused far-left group Peace Now of reporting precisely now so as to scuttle his meeting with Obama. Writing in his weekly Hebrew column for Arutz Sheva, Sheftel wrote "Obama doesn't want a nuclear Iran, but he wants an Iran that can enrich uranium and threaten Israel - it's one of the most hostile regimes for Israel that wants Iran to threaten us, because today we have no more bitter enemy in the western world than the United States." After Netanyahu struck back at the White House's criticism of the housing plan that set the road for possible tenders in the Jewish neighborhood sometime in the future, telling Obama to "check the facts" before condemning, Obama's administration tersely fired back that it has the facts. According to Sheftel, "soon they will come out with condemnations on construction in Tel Aviv. Peace Now are both traitors and slanderers that serve the US, all under the support of foreign governments. They turned the treachery industry into a financial business" he added, in a reference to the group's large foreign funding. For the remaining two years of Obama's presidency, Sheftel called on Netanyahu not to meet with him. "When you hear the blatant speech of the White House spokesperson about building in Givat Hamatos you understand how bad they are for the Jews, therefore this is a completely unnecessary meeting. 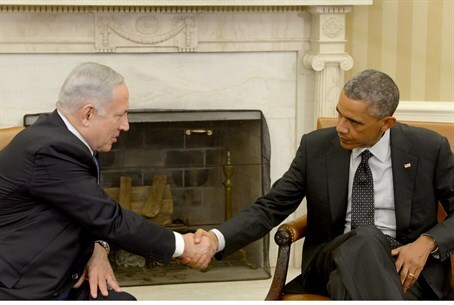 Netanyahu could have found tens of thousands of reasons not to arrive at the White House," concluded Sheftel. Following suit after the White House, France and the European Union (EU) also issued condemnation and threats against Israel for the construction project in Israel's capital. In addition to the building project, America also condemned Israel for the legal purchase of apartment by dozens of Jewish families, who moved into eleven apartments in the Shiloach neighborhood (known as Silwan by local Arabs) in Jerusalem on Monday night. White House Press Secretary Josh Earnest sparked rage on Wednesday by condemning that legal move as an "occupation."